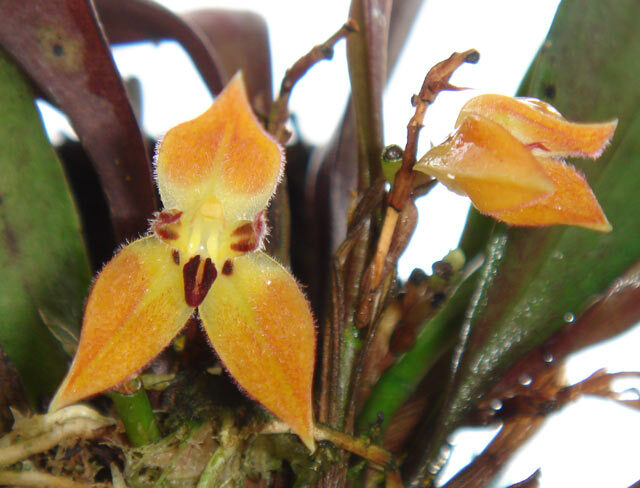 Found in Ecuador and Bolivia on the eastern slopes of the Andes at elevations around 1050 to 1150 meters as a mini-miniature sized, warm to cool growing epiphyte with ascending to erect ramcauls enveloped by 2 to 3 tubular sheaths and carrying a single, apical, erect, coriaceous, narrowly elliptical, acute to subacute, gradually narrowing below into the base leaf that blooms in the winter and spring on a racemose, 1 to a few, simultaneous, comparatively stout, more or less secund to distichous, of .48 to 8.8" [12 to 22cm] long, densely and simultaneously many flowered inflorescence arising through a spathe with an annulus below the abscission layer. 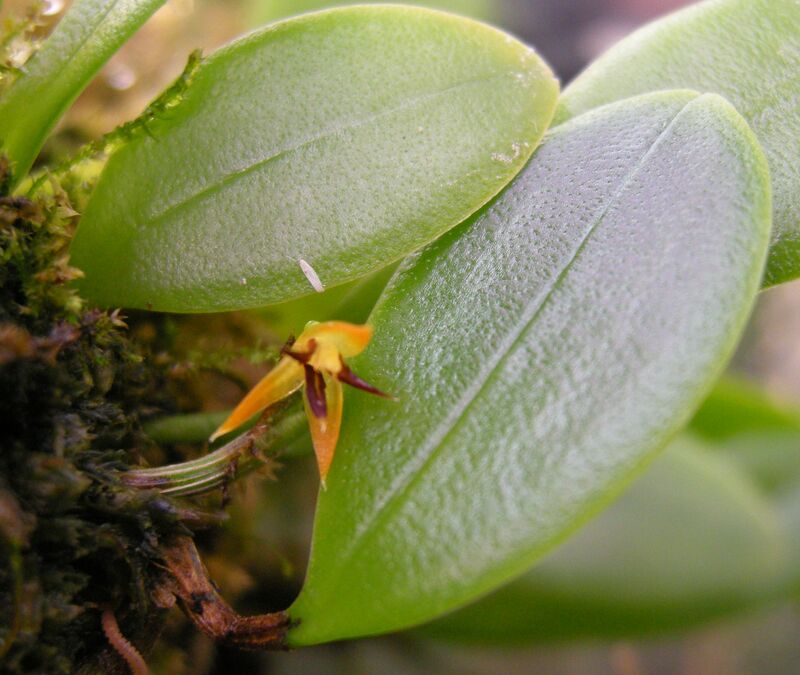 The first photo is absolutely correct for the flower but not the leaves which are not narrowly elliptical. The second photo the sepals and petals are pilose and the drawingdo not have this as well as the lip is channeled too deep towards the base.